Element Materials Technology (Element), which acquired Exova Group Limited (Exova) last year to create one, world-class global testing services partner, has announced that HOPPE (UK) Ltd is the first manufacturer to become certified under its newly introduced STS217 certification scheme for TS007 lever handles. The STS217 certification scheme, which tests security handles for burglar resistance, is a recent addition to the testing offering at Element’s supersite in Wednesbury. The process involves a manual attack test, designed to combat cylinder snapping – one of the quickest and most popular methods of breaking into doors and windows. The successful testing will certify HOPPE (UK)’s handles as a secure product. “HOPPE (UK) is committed to ensuring its products are tested to the highest standards. The STS217 certification scheme is a fantastic way to prove to our customers that our products won’t be compromised by common methods of attack used by opportunist burglars. “Element is leading the way in door and window testing in the UK and has some of the foremost expertise in the industry. We are committed to offering our clients a complete range of testing services approved to the very highest levels of excellence. 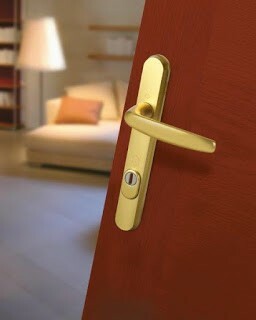 Element provides security testing of external doors and windows, to PAS24 and European burglary resistance standards. The expert teams provide assessments of security performance based on existing test evidence and agreed principles. Did you miss the Launch of our Summer 2018 Issue?